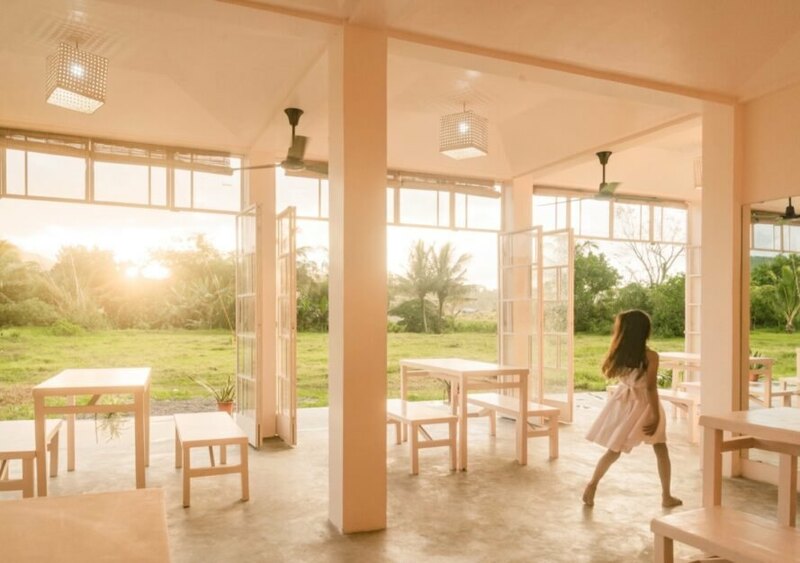 Scandinavian design studio Native Narrative is raising the bar for after-school facilities in the rural Philippines with their recent completion of the Children’s Learning Center in the Island of Leyte’s Village Mas-in. 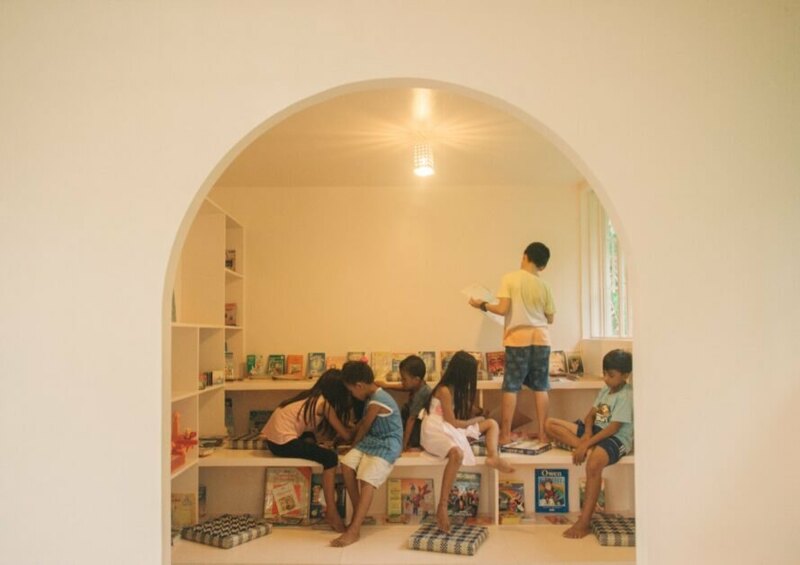 The facility primarily serves as a child-friendly after-school space during weekdays and weekends, however, it has also been engineered to double as an emergency shelter in the event of a natural disaster. Created in close collaboration with local NGOs and the local government, the prototype project was constructed from locally available materials and local, relatively unskilled labor. 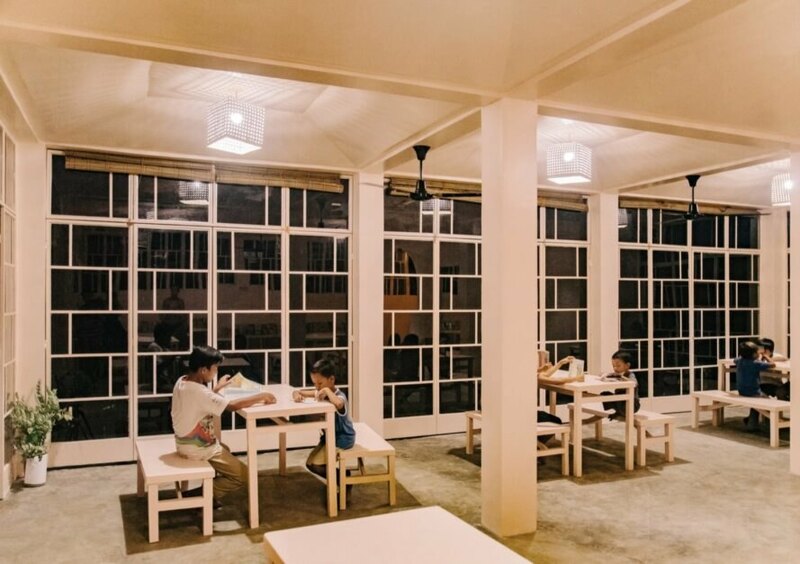 The Children’s Learning Center and emergency shelter was created in response to the newly approved Children’s Emergency Relief Protection Act in the Philippines, a law that calls for local and national agencies to establish child-friendly spaces for the improved protection and development of children. 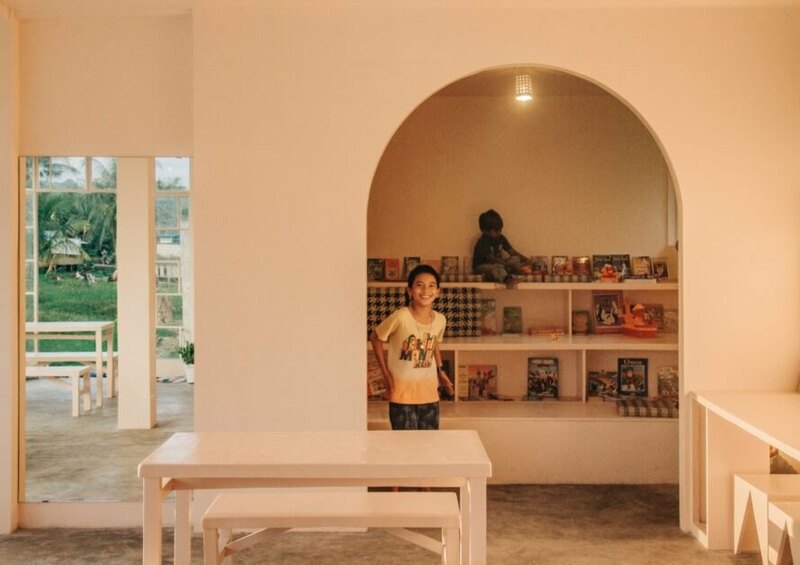 Created to serve ages 4 to 17, the 63-square-meter Village Mas-in facility offers a space to play, study and gather with the community. The building includes a library unit, study spaces, a reading area, two bathrooms and a performance area. The facility is one of four Native Narrative-designed after-school facilities built in 2018; five more site-specific buildings will be constructed in 2019. 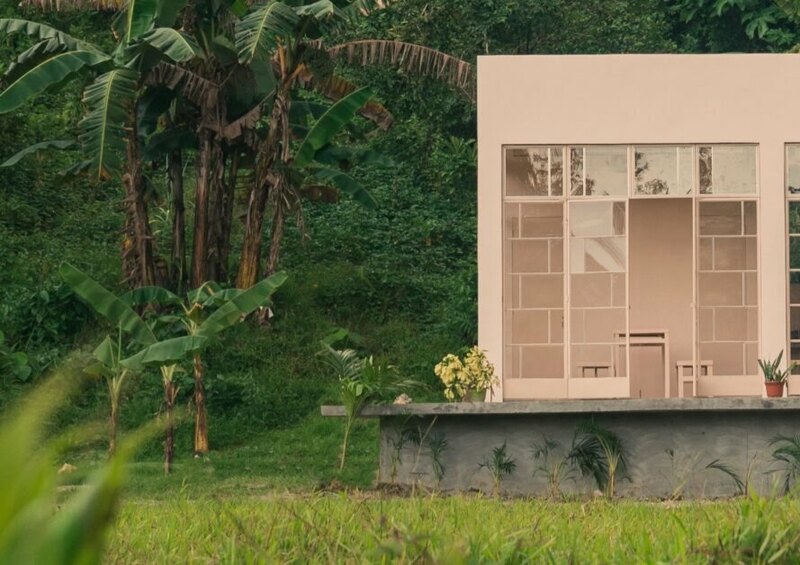 “It has been important for us to create something that made sense in the local context both practically and in terms of character,” explains Jakob Gate, architect at Native Narrative, of the firm’s choice to use locally sourced materials and local labor. “The building is a collection of borrowed components from the predominant architectural language in the locality, although does not resemble any one particular building. 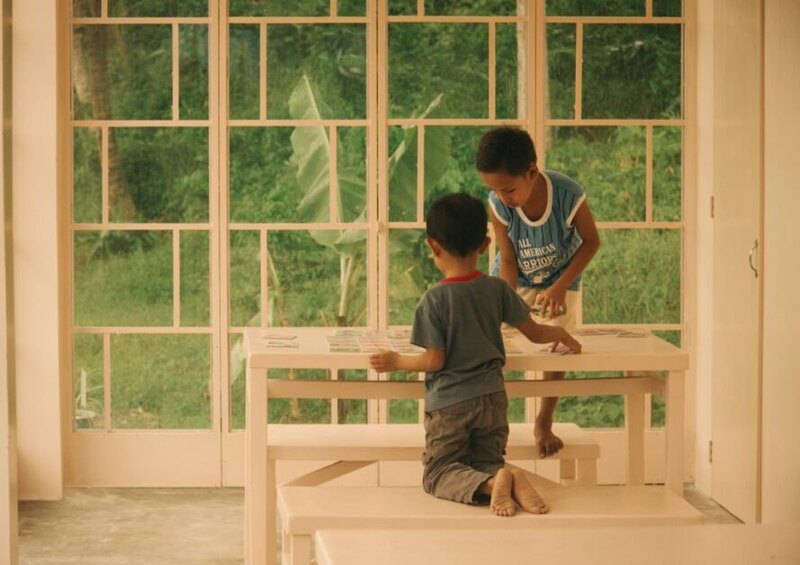 The minimal colour pallet is reducing the environment to a backdrop where children, books and toys are standing out.” Local carpenters made all the furniture of plywood, while local weavers wove the seat covers from Pandan grass. Due to the Philippines’ location on the ‘Pacific Ring of Fire,’ the country is highly susceptible to natural disasters including typhoons, earthquakes and floods. 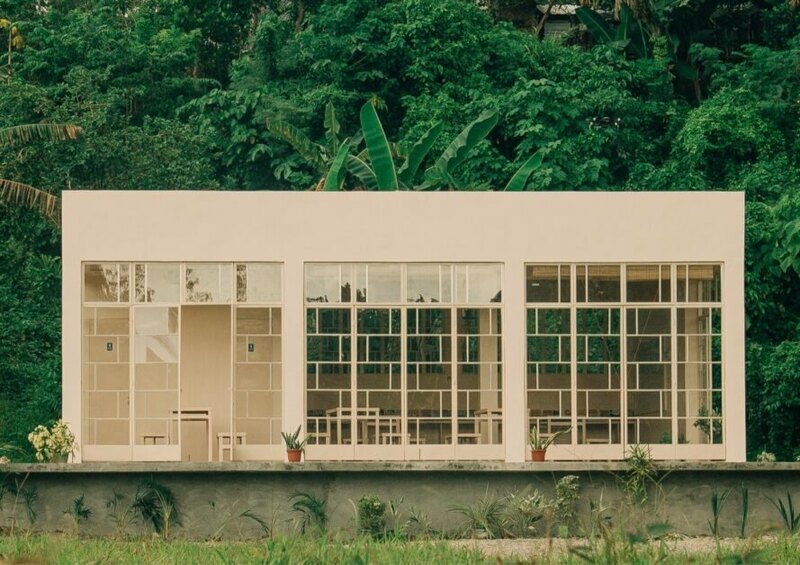 To fortify the emergency shelter against these events, the architects designed a reinforced-concrete structure with a symmetrical column layout, hollow block walls and a lightweight metal roof. The building is also raised to protect against flooding. 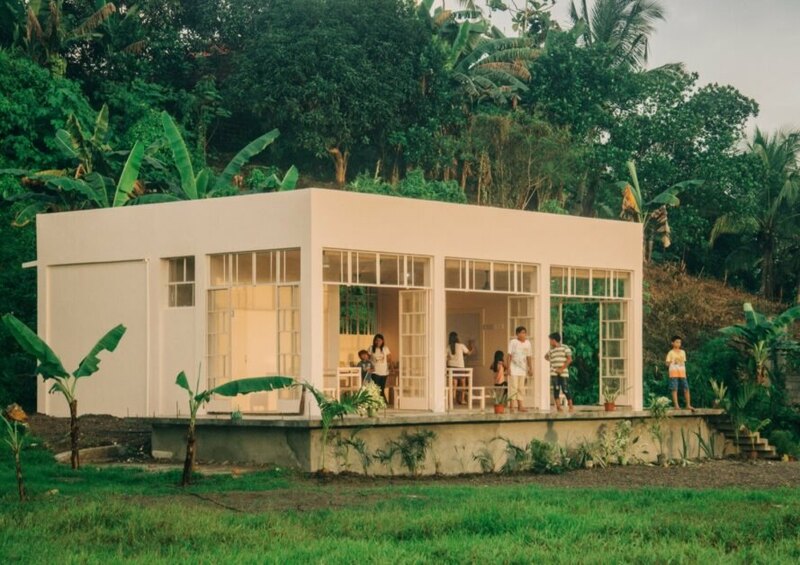 The newly designed emergency shelter has become he new standard for local government in Philippines. Native Narratives worked closely with local NGOs and local government to develop the emergency shelter. Locally available materials were used to build the structure. The emergency shelter is intended for children from the age of four to 17 to play and study. Study spaces were added by Native Narratives to the emergency shelter. The emergency shelter also has a reading area, two restrooms and a performance area. The building also functions as an after-school facility. The shelter is raised from the ground to prevent flooding. Architects also added a library to the building. 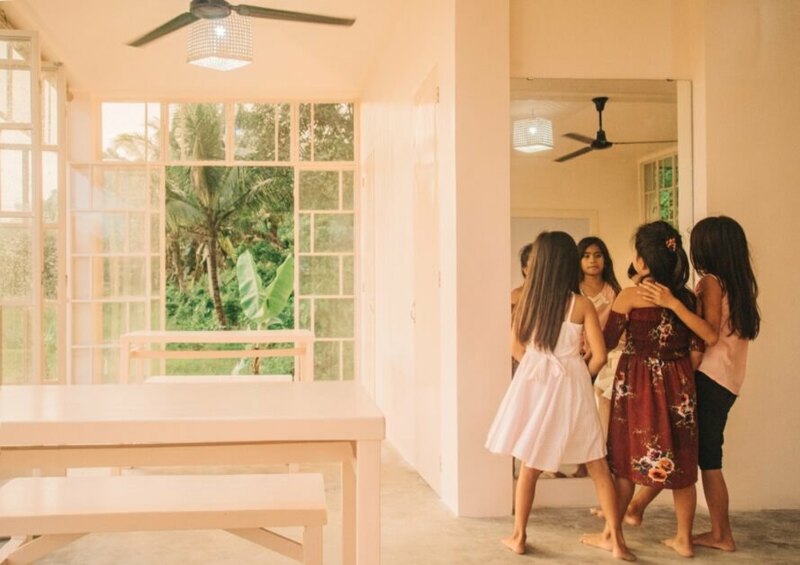 Children are able to perform on the veranda's performance stage.